I know I've been absent for some time now. But this baby has been keeping me very busy! I LOVE spending every minute with her! I'm truly blessed to have my two girls! 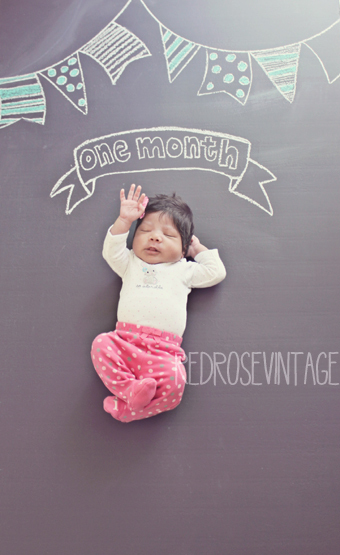 Today marks exactly ONE month since my cupcake has been born. Can't believe how fast time flies!